Rate builder is a quick and easy way to build a loaded labor rate for a US Federal or other contracts that use core elements like General and Administrative (G&A), Overhead and Fringe as well as applicable taxes. With Rate Builder you can input and store core rate elements by name, and recall them later and apply them to specific salaries to determine fee (profit) during the proposal process. After award, Rate Builder allows you to determine the impact of salary or other core rate element changes against current approved contract rates. 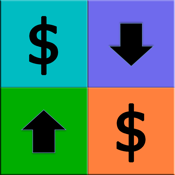 Recognizing that the federal government allows the use of three different tiers to capture indirect costs; single tier, two tier (fringe and overhead rates), and three tier (fringe, overhead, and G&A rates), Rate Builder is built around the three tier system, but allows you to enter 0 (zero) for the tiers that do not apply to your organization.